So its an exciting start to the new year! For NYE I decided to have a night in (for a change) so my sister and I watched TV, bought a bottle of Bottega and enough chinese for a family of five. It was great not to go and buy into an expensive night out! Now into January, it's officially my last ever semester at uni and I have a ton of exciting prospects for the rest of 2016. To begin the new year, I thought it was time to revamp my blog and take it towards something less uni/work related; starting with the name. Keeping in with the theme of my original diary idea, my trademark 'TAD', didn't seem to fit in with the change of subject on my blog. I wanted to choose something that wasn't cliche with the generic "wanderlust" or "beauty obsessed" connotations. I chose 'Indefinite' to replace it, its far away from cliche when it comes to blog names and it also seemed like the right word to revamp the old version and describe the new nature of the blog. 1. lasting for an unknown or unstated length of time. "they may face indefinite definition"
2. not clearly expressed or defined; vague. Over the past 4 months, my blog has focused on aspects of my professional placement, which was a requirement for one of my modules this year. But after taking a shine to the writing and designing aspects I thought why the hell not carry it on. So, in light of my recent posts, the nature of my blog will move completely over to travel, lifestyle, food, photography and anything that is of interest to me. I have great things planned for 2016; this time next month I will be away on holiday to Chamonix, France for a week of snowboarding with the fam which I cannot wait for. I also turn 21 in July, as well as graduating just a week after that. 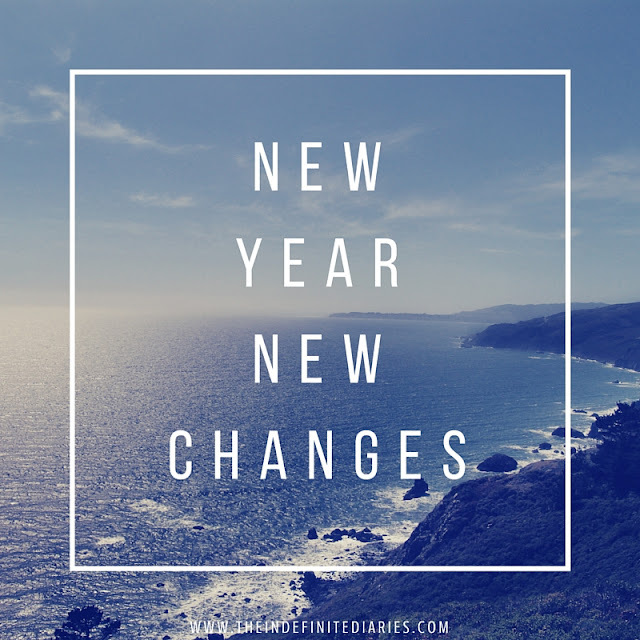 There are so many things to look forward to and I cant wait to blog more and share it will you all! Hope you have a great new year.